Sivakasi, renowned the world over for its printing, Litho Presses, Safety Matches and Fire Crackers industry and now for its Educational Institutions. 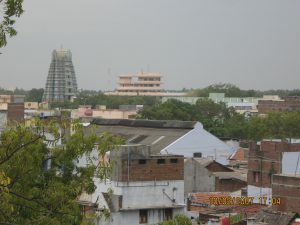 Sivakasi town is known for its fireworks manufacturing reputation and offset printing machines of which is has the second largest number in the world, next to Gutenberg , a city in Germany. The Title Name ‘KUTTY JAPAN‘ was given by Mr.Jawaharlal Nehru ( First Prime Minister of INDIA) to Sivakasi. ‘Kutty‘ in Tamil means Mini. So Kutty Japan, means Mini Japan. During early 1960’s India was under great famine and lots and lots of people are unemployed and it was the time, the people of Sivakasi came in hand in hand with each other to promote themselves with out expecting any aid from the Government and stood on their own to achieve self reliant, high industrial growth rate (especially Matches, Fireworks, Printing and sub industries related to those industries.) Till now you can see ‘HELPERS NEEDED / Wanted’ in each and every industrial places. The overall outcome of this are. Contributes 60 % of India’s Total Offset Printing Solutions. is one of the high Sales / Excise / Customs Duty paying town. Like JAPAN (world leader in Electronics) , Sivakasi is leader for Printing, Fireworks, Safety matches Production. So the name was given to Sivakasi. This happened only because of the people of Sivakasi, who are more dedicated committed to hard work and their togetherness to achieve attitude. The key behind this success story of each and every Sivakasians is &quot;QUALITY with QUANTITY, HARD WORK &amp; Commitment to work, Attitude of Togetherness…ie. Together we WIN…. yes…the people of Sivakasi (Kutty Japan) are winning and they will keep on winning in their area….. Hats off specially to the Nadar Community whose contributions are lot to this achievement.. Like Ayya Nadar, Graha Durai Nadar, Shanmuga Nadar, KAKA Kaliappa Nadar..